MDA, a business unit of Maxar Technologies, (formerly MacDonald, Dettwiler and Associates Ltd.), (NYSE/TSX: MAXR), has received a commemorative recognition from Airbus for 30 years of partnership. With more than five decades as a supplier of satellite subsystems spanning hundreds of missions, MDA is proud to have been a key supplier to Airbus for three of these decades. During this period we have exported leading-edge Canadian technology that enhanced multiple Airbus space missions. MDA will accept the recognition at their Montreal facility in a ceremony on November 10, 2017. Artistic rendition of the first EO satellite for Europe, ERS-1. SPAR Aerospace (now MDA) was awarded a contract in 1987 by DASA (a subsidiary of Daimler-Benz Aerospace AG, now part of Airbus) to develop a satellite subsystem that modulated radio frequencies for the ERS-1 program. 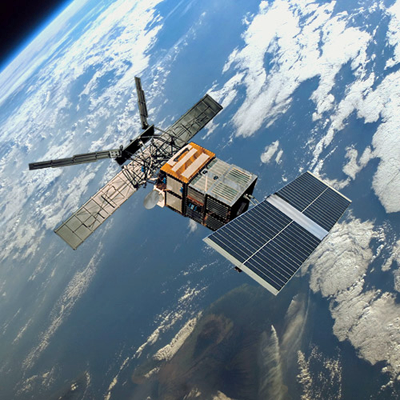 ERS-1 was the ESA’s first Earth Observation (EO) program and its primary objective was to provide environmental monitoring. It had a pioneering role in the field of instrument development, and the introduction and demonstration of advanced observation technologies — a European success story. Our partnership was part of that success story which marked the beginning of a long-standing business relationship between two global leaders in space manufacturing. Stewart Nolan, Head of Procurement Mission Systems for Airbus Defense and Space, added that the Airbus’ Supplier Engagement Program recognizes the key strategic North American suppliers for their outstanding support and partnership. Airbus is very pleased to celebrate 30 years of continuous and very fruitful business relations.